Inogen One G2 Provides a Lightweight Oxygen Solution. The new Inogen One® G2 delivers the independence of our original Inogen One portable concentrator, but it’s smaller, lighter, and makes more oxygen with a longer battery life. It’s a portable concentrator small enough to hold in your hand. That means there are no tanks to refill and you never have to worry about running out of oxygen. Oxygen Flow: Pulse dose delivery system. Five flow settings from 1-5. 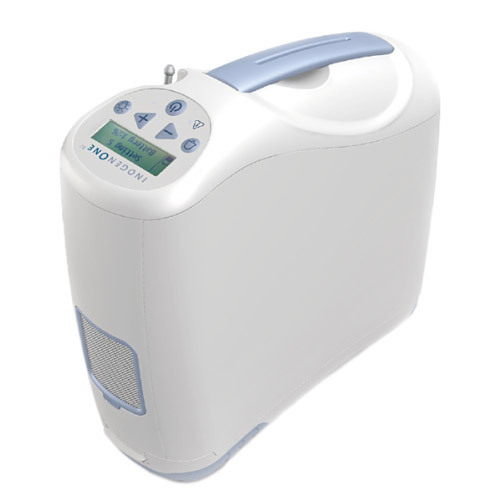 When choosing Oxygen Choice you have the confidence that your oxygen concentrator, whether it be the Inogen One G2 Portable Oxygen Concentrator or a different model, it will be delivered to your door by a trained technician who will explain all aspects of your machine including initial setup, recharging, power management, safety tips and oxygen settings. It’s all part of the our service.